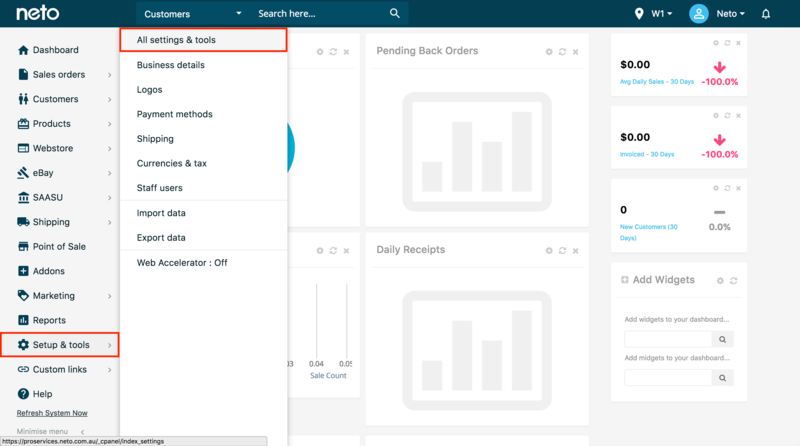 A step-by-step guide on how to make your Neto Subscription form post to SmartrMail. 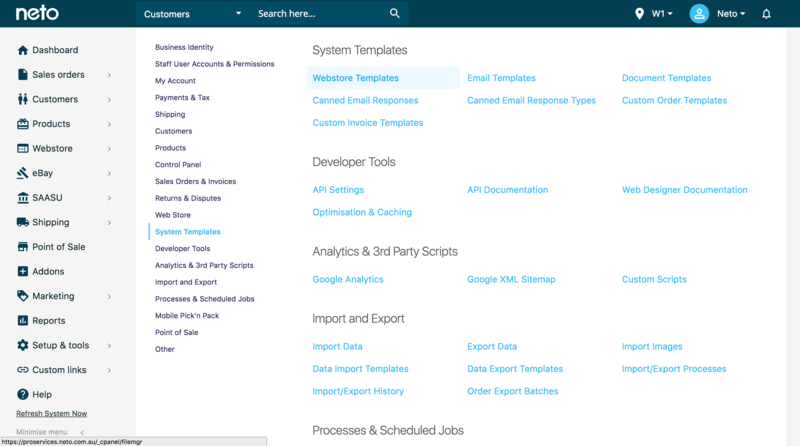 This guide covers how to update the Newsletter Subscription Form in the footer of most themes to post to SmartrMail. Step 2: From the Neto Dashboard select Settings & Tools > All Settings & Tools. 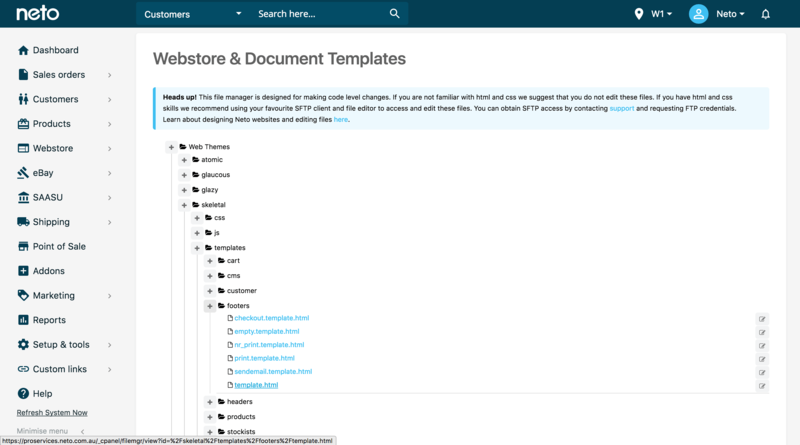 Step 3: Locate Webstore Templates under the System Templates section. Step 4: Click on the Plus Sign next to the theme name you are using. Then go into Footers and click on Template.html. The template will load in an editor so that you can make the necessary changes. Step 8: Save Changes. Test the form by entering a valid email address. You should take to a thank you page on the SmartrMail website.